“The justices have rejected every single argument of principle they heard regarding Israel’s planning policy. To the best of B’Tselem’s knowledge, there has not been a single case in which the justices granted a petition Palestinians filed against the demolition of their home." The results of the Likud primaries were a blow for Prime Minister Binyamin Netanyahu, whose arch rival Gideon Saar got a high place on the party list and whose loyalists were pushed back, as well as some of the most controversial Likud MKs making the Likud party seem ‘cleaner’ (see Elections Commentary below). Meanwhile, Netanyahu was quick to pounce on his main rival outside the party, former chief of staff and head of the Hosen L’Yisrael party, Benny Gantz, while the Palestinians praised him. Calling Gantz a leftist, Netanyahu warned right-wingers that Gantz would withdraw from land in the West Bank after Gantz said in a Yedioth interview that Israel “doesn’t need to control over other people” and that the lessons of the 2005 withdrawal from Gaza should be implemented elsewhere. The Spokesman for Palestinian President Mahmoud Abbas called those same words 'encouraging.' But he criticized the fact that some Israeli politicians (Gantz!) have boasted in their election campaigns of attacking Palestinians. He called on Israelis not to elect an extremist government. Netanyahu used that as ammunition, implying that if the Palestinians were happy with an Israeli candidate that would be bad for Israelis. Gantz’s team responded by posting a photo of Netanyahu with Yasser Arafat. Other right-wing politicians, such as Education Minister and co-leader of Hayamin Hadash party, slammed Gantz, too. Bennett warned that “A Netanyahu-Gantz government could go for the establishment of a Palestinian state” and said that a vote for his right-wing party would “block (Trump’s) ‘Deal of the Century.’” (Maariv) The latest poll shows that an alliance between Gantz and Yair Lapid’s Yesh Atid party would give them 35 Knesset seats, tying with Likud, if elections were held today. Separately, the Attorney General is expected to forbid Netanyahu from posting any photos of himself with soldiers until after the elections. The other top stories were the official announcement that the US will acquire Israel’s Iron Dome anti-missile battery, the shelling by Israel on a Hamas post in the Gaza Strip after a rocket from Gaza landed in an open field, and the death of Rabbi Yechiel Eckstein, a philanthropist who established a Jewish-Christian organization, which organized millions of dollars of donations from Evangelists to Israel. Israel's Ruling Party Just Voted Against Netanyahu (Anshel Pfeffer, Haaretz+) The top four top names on the Likud slate after Tuesday's primary are Netanyahu's worst nightmare – four experienced politicians who party members see as viable candidates to replace him. Netanyahu's political problems are just beginning (Moran Azulay, Yedioth/Ynet) The success of Gideon Sa'ar in the Likud primary shows the limits to the prime minister's power, and the failure of his minions should also serve as a warning. Likud Members Prove to Netanyahu: We're Not a Flock of Sheep (Yossi Verter, Haaretz+)The voters didn’t agree to the prime minister's war against Gideon Sa'ar. Nor did they heed Netanyahu regarding their other candidates. They are tired of being the bad boy - Likud Primaries (Tali Ben-Ovadia, Yedioth) The Likud registered members looked forward. Yes, also to the day after [Netanyahu]. They noted who in their eyes would be a candidate to get the inheritance. They looked forward and said, Enough of the madness from the school of Yair Netanyahu. The Likud brand is detached from reality (Michal Aharoni, Israel Hayom) The Likud is perceived to have changed the social order. But its Knesset list is elitist, white and rich, and has nothing to do with the values and people it professes to represent. Oren Hazan as an example - Likud Primaries (Einav Shiff, Yedioth) Due the exaggerated focus on the failure of MK Oren Hazan to make it on the Likud list, it is perceived that the Likud loyalists came to their senses...what can I say, we're moving forward...Netanyahu may not have gotten rid of Gideon Saar and also some of his favorites - such as Dudi Amsalem and David Biton - did not get high up on the Likud list. But in honor of (the upcoming) Purim (costume) holiday, it seems that the party definitely succeeded in fulfilling one goal no less important: The Likud party's costume is much more convincing. Message received (Yehuda Shlezinger, Israel Hayom) Likud voters have for years been depicted as "hooligans" by the media. On Tuesday, those "hooligans" proved their critics wrong when they voted to keep controversial party members off the Knesset list. Is Benjamin Netanyahu a magician? Anyone who thinks this way simply does not understand the prime minister (Ofir Farber, Maariv) Getting people to follow behind him over the years, the attack on the other side and the feeling that I need to stand behind my team, has done a tremendous service for the prime minister over the years. That’s how it’s done. Gantz is in a bind (Amnon Lord, Israel Hayom) Gantz would have preferred to make this election about Netanyahu. But if the prime minister were to win again, Gantz would lose any legitimacy to call for his resignation if he were indicted. No General Can Save Us (Yossi Klein, Haaretz+) In siding with Benny Gantz, Israel's leftists are chasing a dream of victory; soon, it'll become a nightmare. A moment of truth (Dror Eydar, Israel Hayom) If the Right loses votes because of tunnel vision by small right-wing parties, the Left will benefit. We don't have to agree on every single idea to form a merger that will prevent right-wing votes from being lost in the election and keep the Left out of power. Only Five Arab Women Have Ever Served in Israel's Knesset. And It's Not Getting Any Better (Anwar Mhajne, Haaretz+) The long-delayed birth of Arab women’s political activism still faces major obstacles, from institutional discrimination to deep social conservatism. For local elections that's changing – but not in the legislature that governs our lives. The people of the underground fought, each in their own way, for a common national goal (Yossi Ahimeir, Maariv) The meeting with Baruch from the Haganah, Yoske from the Irgun (Etzel) and Yael from the Lehi flooded all that is missing today in the country: cohesion. Perhaps this is the message to those who are fighting today, politically, not over the state, but over (who is in) the next government. It's Leftism or Zionism - You Can't Have Both (Gideon Levy, Haaretz+) The two-state solution is dead, and the Zionist left helped kill it. Zionism never declared that it planned to build an apartheid state in the Land of Israel, nor did it ever intend to build an egalitarian Jewish-Arab state – a state of all its citizens – like all other states. But over the past 52 years, Zionism has chosen the first option. And there’s no indication that it’s about to change its mind. Israel would rather be an apartheid state than a democratic one, and it’s doing everything in its power to consolidate and perpetuate this state. We’ve reached the Rubicon and crossed it. And as with all Rubicons, there’s no way back. Zionism, the scaffolding on which the state was built, must be dismantled. Not only is there no longer any need for it – the house exists and stands on firm foundations – but it’s no longer relevant. Today, the scaffolding is only for cosmetic purposes, to further a deception. “We’re Zionists” means we’re the good guys, and therefore, anything is permitted to us. It requires a great deal of courage and integrity to admit that Zionism has reached the end of the road. It’s no longer an ideology, but a fanatical religion, and religions permit no heretics. A non-Zionist is a traitor – soon to be enacted in legislation. For the left, there can only be one choice: equality and democracy in a single state, a state that has already existed for more than half a century and shows no sign of being about to disappear. If you so desire, you can call this Zionism. 10 years since 'Cast Lead': How Israel first declared total war on Gaza (Avihai Stollar, +972mag) The firepower, scale of destruction, and numbers of Palestinians killed during Operation Cast Lead were unprecedented in the brutal history of the conflict. Since then, the tactics used have become part of the IDF’s arsenal in its wars on Gaza. Palestinians in Hebron Could Now Face Another Massacre (Muhammad Shehada, Haaretz+) Israel just expelled the only international monitors protecting Hebron’s Palestinians from 800 heavily guarded far-right settlers, one of whom committed the 1994 massacre that triggered their deployment. No one expected Trump to respond - but where's the European outcry? How to turn human rights activists into 'traitors' in a few easy steps (Orly Noy, +972mag) The Israeli right’s years-long effort to portray Breaking the Silence as traitors fell flat on its face this last week. Will the media or the politicians who incited against them apologize? Baby boom threatens to make Israel unbearably crowded (Meirav Arlosoroff, Haaretz+) Unless trends change, by 2065 we will be the most densely populated place on Earth after Bangladesh – with severe harm to the economy and quality of life. It's time for a medical school in Ariel (MK Nachman Shai, Israel Hayom) The need for high-quality doctors trained in Israel should override any petty, irrelevant considerations that are obstructing the launch of a new faculty of medicine. Trump Speech Angers Democrats as Expected but Caters to American Jews, for a Change (Chemi Shalev, Haaretz+) Trump's cry against a concocted socialist conspiracy emulated Netanyahu's trusted tactics of division and incitement. 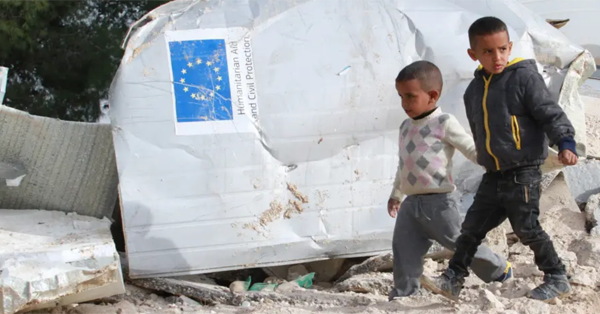 Politicizing human rights in Hebron (Itai Reuveni, Israel Hayom) Canceling the TIPH mandate sends a signal to governments and organizations that they must choose between human rights and humanitarian aid or the cynical politicization of these principles. "You could say that the American Jews are at the forefront of the resistance to Trump"
According to the liberal lobby, the president of the United States, who has already been dubbed here ‘the Messiah,’ is actually the one who is causing Israel to lose its Zionist path. This is a message that is not easy to transfer to many Israelis who believe that relations with the United States are at an all-time high. But for many Jews who live in America, and some of whom hold positions of influence, this is the real reality. J Street was founded in 2008 to provide a platform for liberal views that were not presented until then in the various Jewish organizations, the most known of which is AIPAC, the Jewish pro-Israel lobby. I met Ben-Ami in Tel Aviv during one of his four annual visits to Israel, in which his organization brings influential officials from the US administration to show them the complexity of the conflict with the Palestinians. 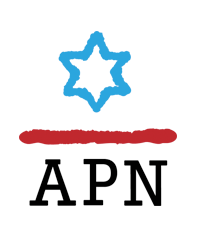 A survey published by J Street in November 2018 showed that 78% of American Jews support a peace agreement based on the two-state solution based on the 1967 lines with agreed upon changes of the border. The Jewish neighborhoods of Jerusalem, as well as the Western Wall, will be under Israeli sovereignty, and the Arab neighborhoods will be under the Palestinian flag. So now there is a Republican administration that is leaning toward Israel. The citizens of Israel will say that the democratic Obama administration was more inclined to the Palestinian side. Where is the United States going? “In the midterm elections, you saw 60 new members of Congress - young, progressive, women, of all races and cultures - who would not cooperate in any way with what is happening in the West Bank. For Israel and the United States, the special relationship between Israel and the United States is composed of shared values and interests. Both are now crumbling. The values of the United States are democracy, freedom, equality and justice. Look what happened in November, in the midterm elections, think about what will happen in the presidential elections in 2020. That's the direction. " At least it seems that Israel and the United States are broadcasting on the same wave in terms of policy. "This single moment in which Bibi found his twin in the White House will not last forever. It’s a dot in the historical view. The direction the United States is going to is much more liberal and multi-cultural. It will not tolerate ethnic nationalism. And therefore it is long-term harm to Israel's interests. " I asked Ben-Ami why the Israelis would care what the American Jews thought were thousands of miles away and did not live here. "It's nice to think that after all that American Judaism has done for Israel, someone will also care about what we say," he explains. "Israel has benefited a lot from these relations, we sent our children here, we strengthened Israel's ties with the administration. Over the years it was a one-sided relationship. It would be appropriate for the Israelis to also thank their cousins overseas…Take it from a place of Israeli interest: The unlimited support that the United States gives you is exceptional, and if it's important for Israelis, it's worth understanding that they need the support of both parties, and Israel has to keep in touch with the Democrats. American Jews are on the side of the Democrats." People think that Netanyahu is a world leader, accepted all over the world and in the US. For example, he was recently welcomed with open arms in Chad. Ben Ami says that he is connected to the Israeli experience. "I lived here for a few years, in the late 1990s, and these were the good years, I have a deep connection to Israel," he says. "I've been in politics for 35 years, I was at the White House with Bill Clinton, I did several election campaigns in the United States." Despite his great criticism of the Israeli government's policy, he stresses, "We oppose the BDS movement and boycotts in general. But Israel's way of dealing with the BDS is stupid - if you ignore it, it will disappear. The obsession with turning it into something big helps them politically. We met with ministers Yuval Steinitz and Gilad Erdan. We want to talk to them about the conflict and they always want to talk about Iran and BDS. If you think J Street is extreme left, then you have no idea what you're talking about. On some campuses we are the most right-wing organization. This is the center of American Jewry. There are so many Jewish leftist groups that are really against Israel and support BDS. We are indeed left from the Israeli center, but this map is not fully understood by Israelis." As for Ben-Ami's sense that Israel is becoming more religious and less accepting of other streams, Ben-Ami says: “There must be change soon. If, in the end, Naftali Bennett and Betzalel Smotrich will be the face of Israel, you will lose most of American Jewry in the next generation."